Spotted by Tom in Newcastle, UK. 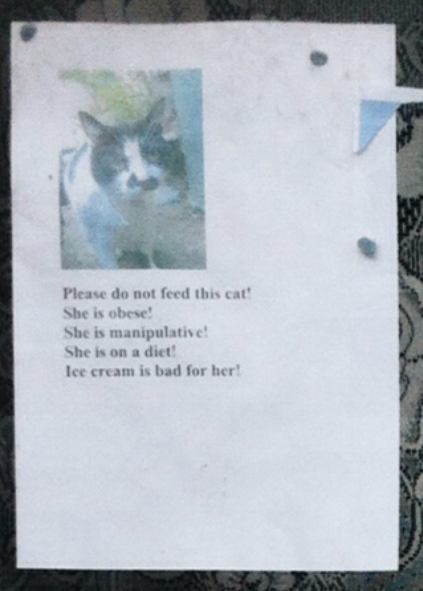 I had to look closely at the markings to make sure it wasn’t the same fat cat Sam spotted in London a few years back. 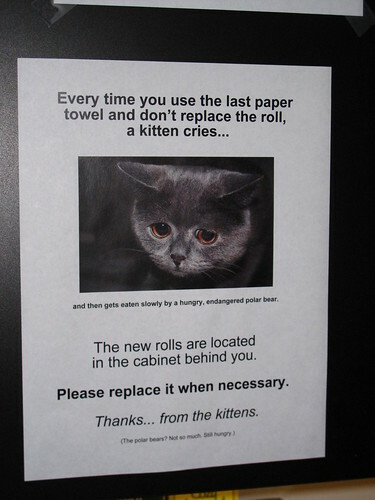 related: It takes a village to (not) feed a cat! Tags: cats · hey fatty · U.K.
Yup, sounds like a cat. 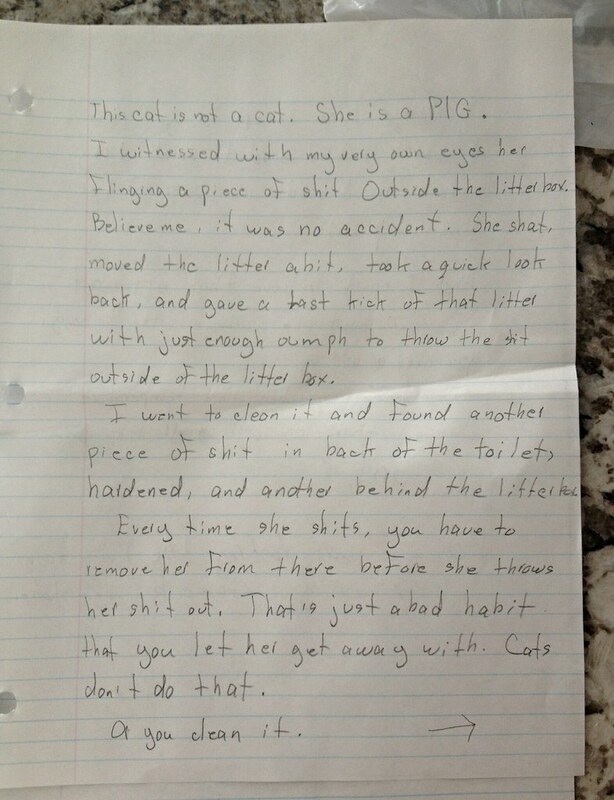 Writes our submitter in Montreal: “I’m fortunate to live upstairs from my mom, who cleans my apartment when I’m busy with projects.” Recently, however, mom declared a litter-box boycott, as she explains in the note below. 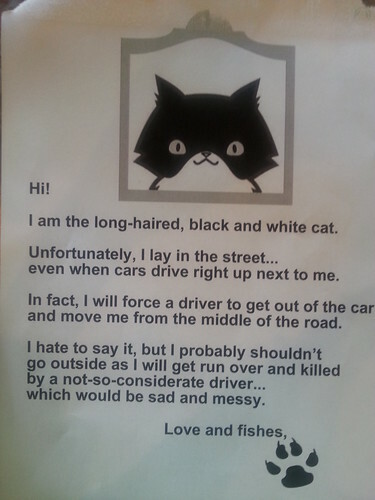 Does your cat have a death wish? Danielle in Baltimore says copies of this notice were posted on electrical poles, fences, and doors all around her apartment complex. Our unapologetic submitter, Patrick from Orlando, Florida, says he’s always been more of a dog person. 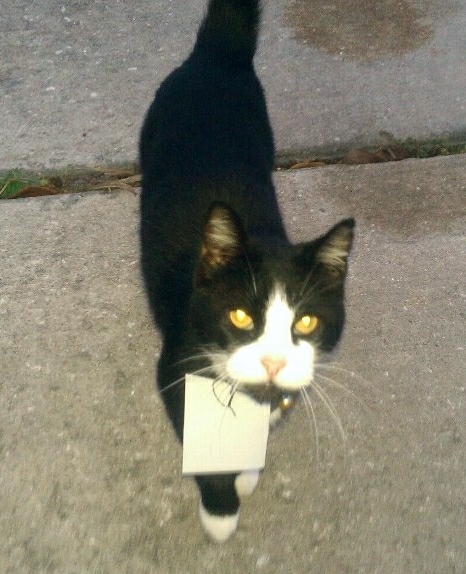 One day, he says, “I got fed up with the perpetual harassment of this neighborhood cat: getting into my trash, jumping onto my car, and might have even given me ringworm once.” His response? 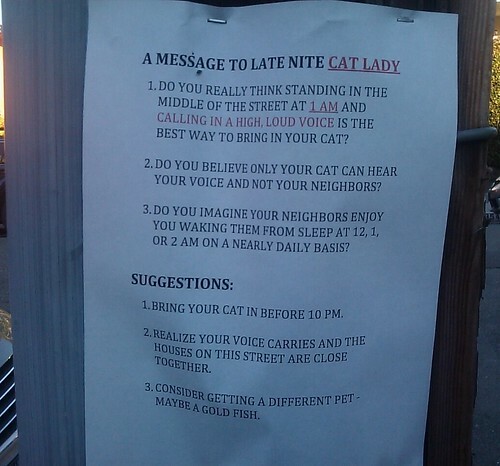 Dear late-night cat: plz discipline ur lady. 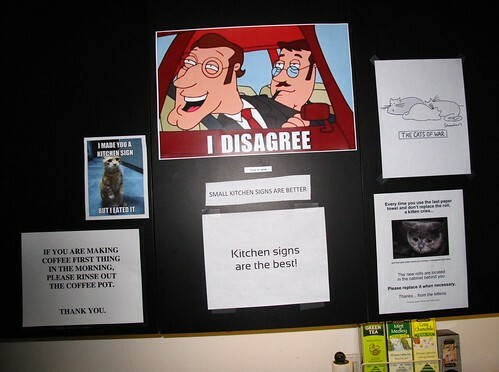 kthxbai. related: Please walk your elephant quietly! And when it comes to the idea of “disciplining” your cat, I can’t even imagine what that might mean. 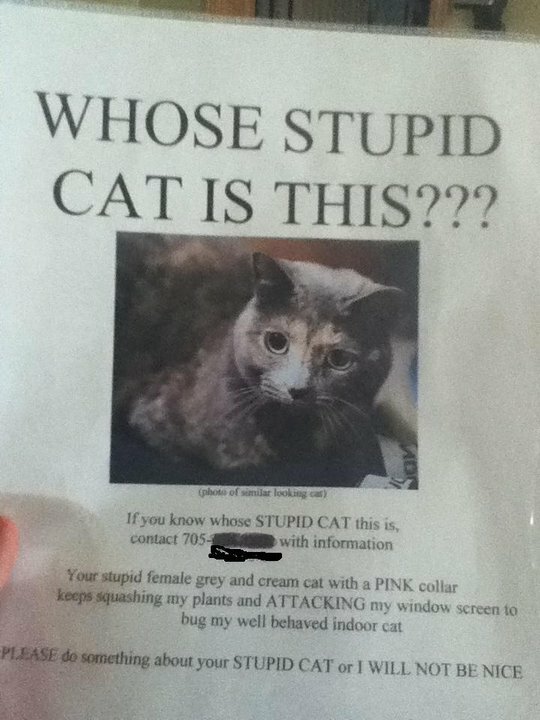 related: Your cat. Your choice. 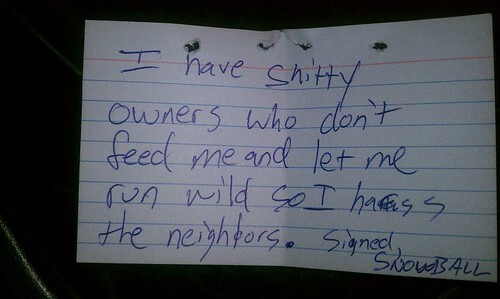 Tags: cats · neighbors · not-so-veiled threats · Oops? 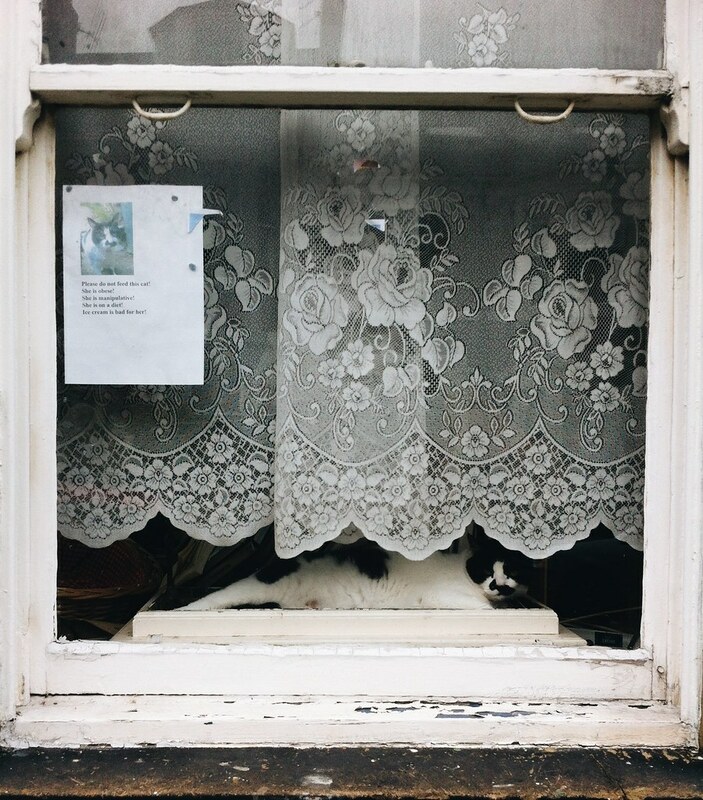 · questionable logic · U.K.
I’ve gotta say, Deniz, you had me at “photo of similar looking cat.” This is my favorite crazypants submission in a long, long time. 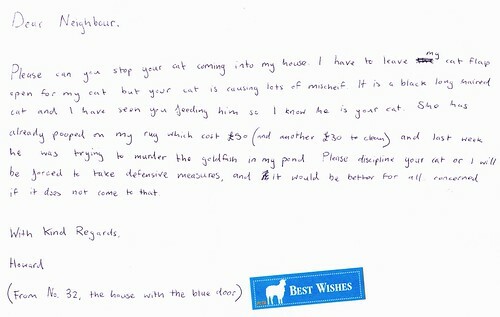 related: Beware of barking mad cat lovers! 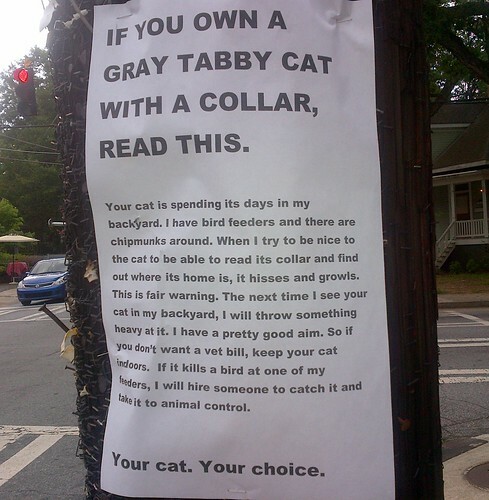 Amy says her Atlanta neighborhood is constantly plastered with “missing cat” signs. This one, though, was a little different. Over the course of a week, Susan says, no non-feral cats were caught, but for whatever reason one of the neighbors decided to steal all of the traps and replace them with this lovely note. 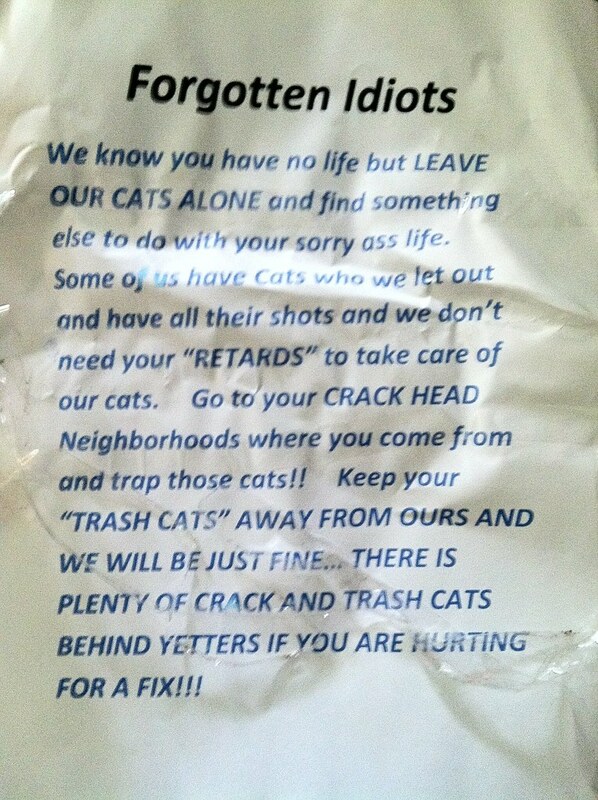 Tags: blame it on the crackhead · cats · Delaware · neighbors · spelling and grammar police · unnecessary "quotation marks"